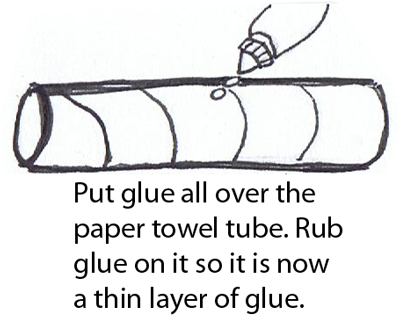 Put glue all over paper towel tube. Rub glue on it so now it is a thin layer of glue. 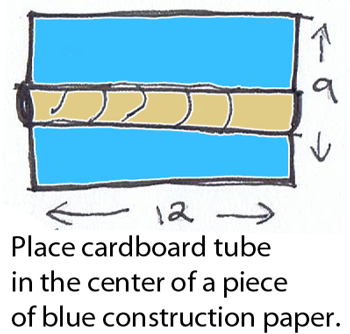 Place cardboard tube in the center of a piece of blue construction paper. Fold paper so top and bottom meet. 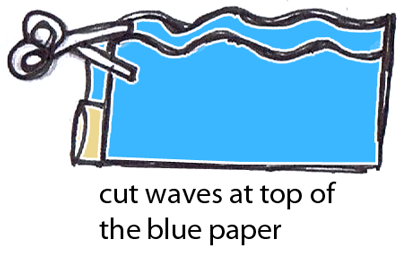 Cut waves at the top of the blue paper. Fold brown paper in half. 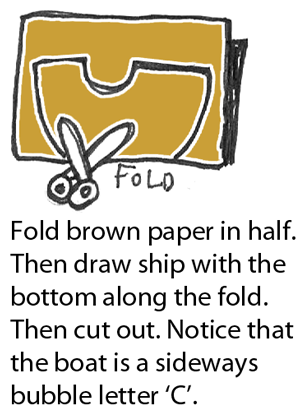 Then draw a ship with the bottom along the fold. Then cut out. Notice that the boat is a sideways bubble letter ‘C’. 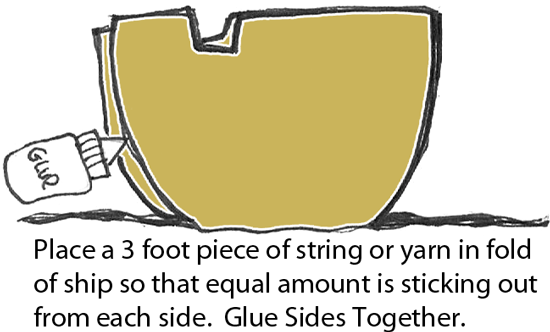 Place a 3 foot piece of string or yarn in fold of ship so that equal amount is sticking out from each side. Glue sides together. Cut out 2 white rectangles…. one bigger than the other. 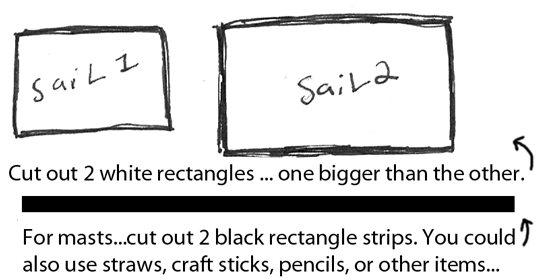 For masts… cut out 2 black rectangle strips. 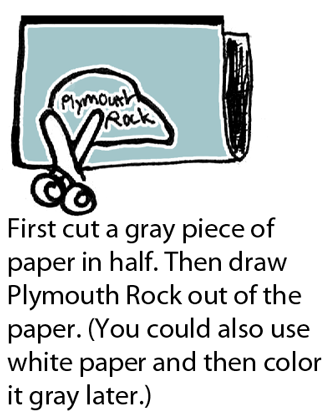 You could also use straws, craft sticks, pencils or other items. Place masts in between top of glued ship while it is still wet. 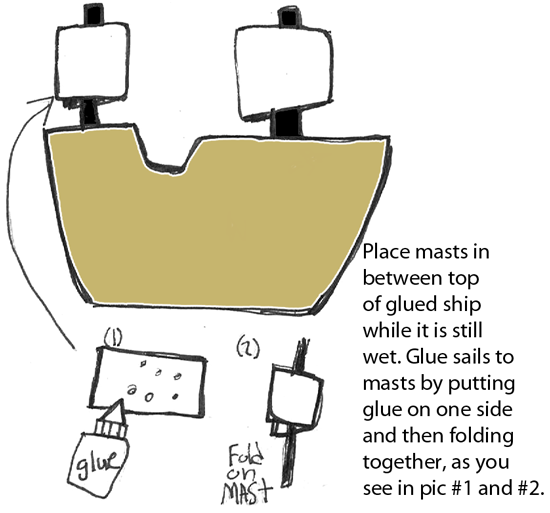 Glue sails to masts by putting glue on one side and then folding together, as you see in pic #1 and #2. Place ship in between waves, pull string back and forth on each side to make ship sail back and forth. There you go…. 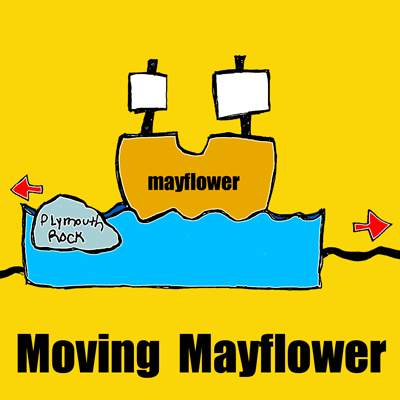 you just finished your Moving Mayflower Boat for Thanksgiving. How did it turn out for you? Let me know in the comments below.